When private financiers, professional traders, and entrepreneurs seek to diversify their investments, among the first things that come to their minds, is DAX – The Deutscher Aktienindex. DAX tracks the value of thirty biggest companies in Germany that are trading on the Frankfurt Stock Exchange (FSE), the largest in the country and the tenth largest in the world. Today, we will offer you a short guide on DAX trading, emphasizing its importance to traders all over the world. What is DAX and Why is it Popular? The German stock index DAX30 has been around since its introduction in 1988 by the Frankfurt Stock Exchange. Germany is the leading economy in the European Union and the fifth most robust economy in the world. There is no wonder, thus, that the thirty companies are comprising DAX cover around 75% of the total market cap of the Frankfurt Stock Exchange. 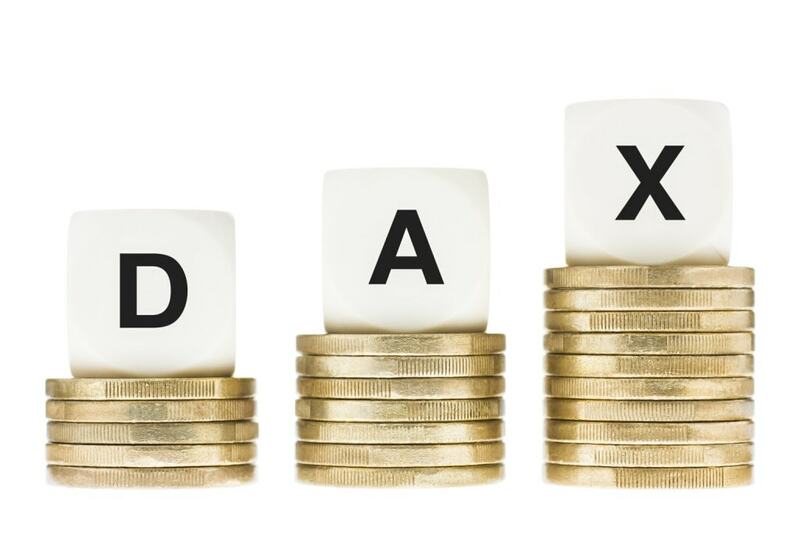 The companies listed under DAX30 are the most liquid, most prominent companies not only in Germany or the European Union, but in the world – think just about Bayer, BASF, Daimler, BMW and Volkswagen Group (and others) that give the DAX its weight. DAX became one of the investors’ favorite markets to trade because it features easy-to-spot trends, providing traders with high levels of liquidity, long trading hours, and tight trading spreads. Those who are interested in trading CDFs on DAX30 should first enlist the support of a professional brokering company that offers a reliable trading software/platform and, of course, training and education in trading. You should also talk to expert financials to understand the markets and make a proper risk management plan in case you are thinking of investing a large portion of your capital. The DAX30 is a relatively volatile market, but a rewarding one nonetheless. When you trade CDFs on the DAX index, you do not buy or sell the assets. However, you can make predictions and speculations on the rise or fall of share prices. You can go short or long, set stop-loss and stop-limit orders, and apply trading strategies that best suit your needs and your trading goals. You can trade DAX both ways – positive or negative – and make a profit. You can trade on DAX between 09:00 and 17:30 CET. DAX30 is a bit different than other indexes, as it updates with futures prices for the next day, even in the stock exchange’s after-hours. Moreover, most providers offer pre and post-market indications. The Deutsche Börse also calculates an Early DAX (08:00 – 09:00 CET) and a Late DAX (17:30 – 22:00 CET, for trading after the stock exchange closed). Depending on your trading platform and your broker, you can trade on DAX 24 hours a day, while monitoring the price in real time. Understanding DAX prices help you make better investments and gain profits in the long term. To enter DAX, German companies have to meet a handful of criteria simultaneously. On the DAX index, new companies can show up and other companies move out (they take off a company from the list if it no longer ranks among top 45 largest companies, or add one if it makes it into the top 25 largest companies), depending on their market cap and their order book size. DAX is an index of capitalization weight – companies with a larger market cap will have more influence on the price. DAX price is the result of a free-float methodology of calculation, meaning it takes into account only the number of available shares and not the number of shares that nobody can buy or sell. Prices get updates every second – more reason for investors to orient themselves towards this index. One of the first suggestions you will receive from brokers and specialists is to trade on DAX30 when the market is most liquid. If you trade in a low-liquidity context, you are facing the risk of low-volume spikes, which can shift outside usual trading patterns and break them. Before you begin your trading venture on DAX, you should talk to the broker and train in the science (and art) of technical analysis. Since DAX is around for thirty years, technical analysts had enough time to compile historical trends and data, together with plenty of tools and instruments to help you build charts and graphs. Mastering technical analysis is not easy at first if you are a beginner, but in time, you will know how to make the best of the patterns, trends and price points you visualize and use. If you ever traded on Forex, you know that technical indicators come in many shapes and with many benefits. You should get some training and experience in working with them to decide which ones work the best for you. Never start trading before you make a risk-management plan. The DAX30 index is desirable for investors and financial experts. Even if you are just at the beginning of your trading course, you should not give up just because trading seems complicated. Enlist a reliable broker, learn how to use a strong trading platform/software, test, and make sure you get some demo training beforehand. DAX30 is quite volatile, but rewarding nonetheless for those with patience and determination.